Now that the world's headlines are dominated by ISIS, and while Iran's President Hassan Rouhani is at the UN, the Iran is using these distractions to step up its executions, its mass-arrests of minorities, and now its execution of Ayatollah Boroujerdi -- that is if Iran, by again withholding crucial medical attention, does not passively execute him first. Iran's Prosecutor of the Special Court, Mohamad Mohavadi, continued that the punishment for these crimes of "anti-government views" is execution, and stated that all those who had a hand in publishing [his] book will also be killed. When Boroujerdi suggested an open, public debate, Mohavdi announced that his office did not participate in debates, just trials and punishments [executions]. Iran has been trying to kill Ayatollah Boroujerdi for the past eight years of his 11-year prison sentence. 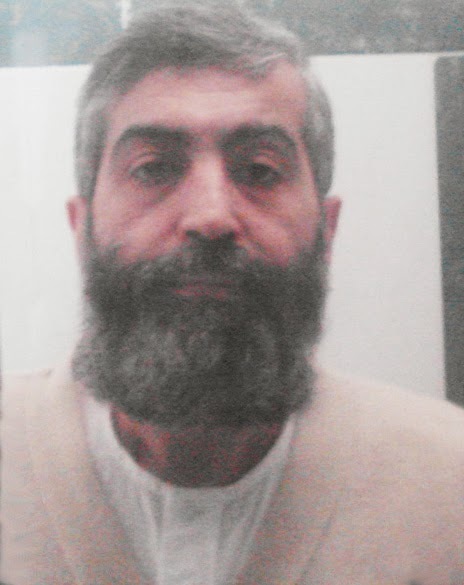 Days before Iran's President Hassan Rohani addresses United Nations General Assembly, Ayatollah Hossein Kazemeyni Boroujerdi, the prominent dissident clergy was informed that he will be executed for "anti-government views" -- that is if Iran, by again withholding repeatedly-requested medical attention, does not passively execute him first. However, now that the world's headlines are dominated by the beheadings, mass-murders of ISIS and lightening expansion of ISIS, the Islamic Republic is using these distraction to step up its executions, its mass-arrests of minorities, and now its murder of Ayatollah Boroujerdi.